The Booth School of Business has once again held on to its place at the top of The Economist ’s ranking of the world’s best full-time MBA programmes. 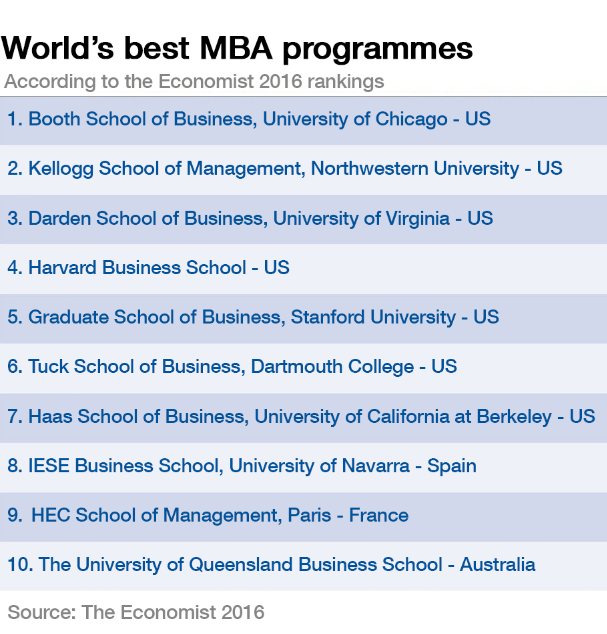 Now in its 14th year, The Economist ’s WhichMBA list rates MBA programmes under four main categories: ‘opening of new career opportunities’; ‘personal development and educational experience’; ‘increase in salary’; and ‘potential to network’. Next on the list is Northwestern University’s Kellogg School of Management, which has been steadily climbing the rankings since 2011 when it began a seven-year plan for transformation .